It was certainly a long hot summer at the Blackboys Allotment in 2018! 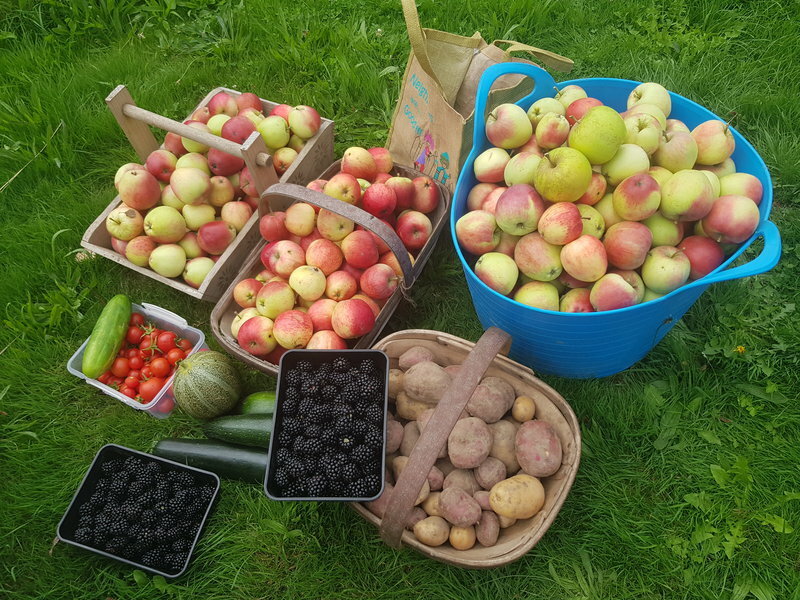 With the hottest summer recorded in the UK, we all faced challenges with the drought following the wet start to the planting year, but it was certainly worth it as we have had bumper crops of fruit and vegetables. The apple trees were heaving with crisp juicy apples (mine are being pressed into cider!) and we have shared our spoils of blackcurrants, raspberries and blackberries, to name a few. 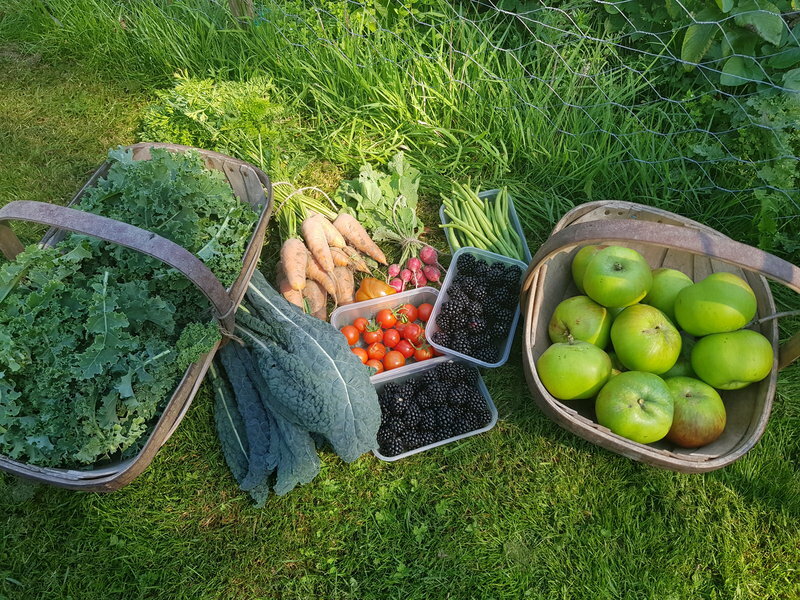 It is now the start of harvest time and we are either storing our rewards for the winter or enjoying the fresh fruit and vegetables with our dinner! 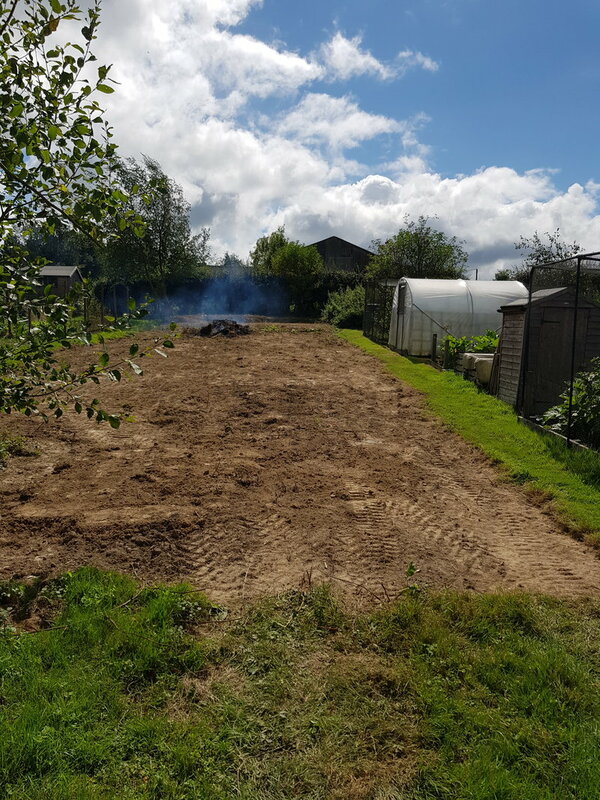 The Parish Council were also busy clearing plots ready for new tenants and we are really pleased to see lots of new faces. There are still a few available and it's a good time to take a plot, so you can get it ready for spring over the winter months. Digging in fresh manure now will prepare and improve the soil ready for your seeds and plants next year. If you take on a plot in October 2018 you will be charged half of the annual rent until April 2019 (this will be ₤12.50 per plot - it is usually ₤25 per plot per annum). 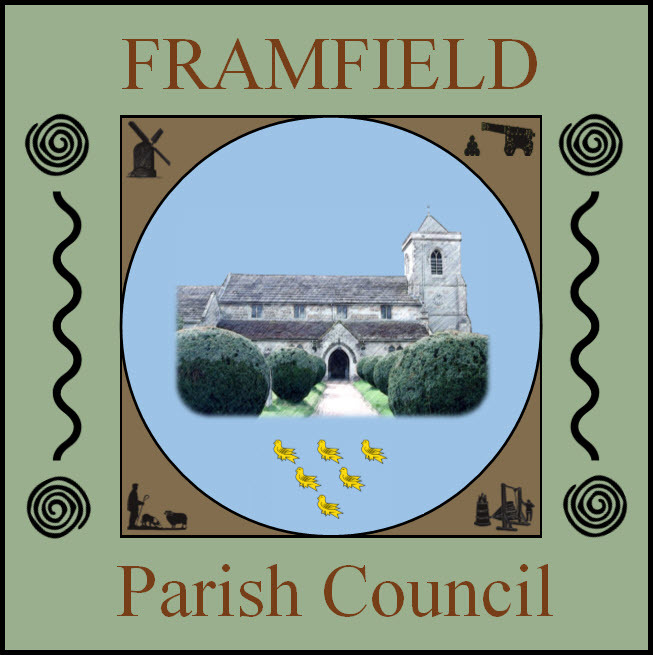 Please contact Ann Newton, Parish Clerk on clerk@framfieldcouncil.org.uk for more details. We hope to see you up the allotments soon! Spring has sprung at last and I have been busy planting my seedlings in the allotment again. 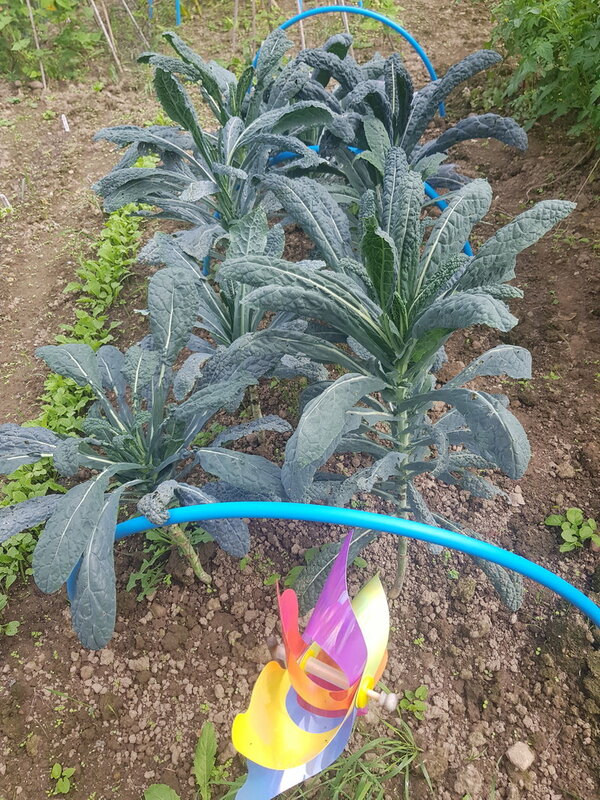 This is my third year at the Blackboys allotment and I can honestly say it has been the best thing I have done for a long time. After a stressful day at work in the office I go to the allotment to enjoy the peace and quiet whilst putting my back into some digging. 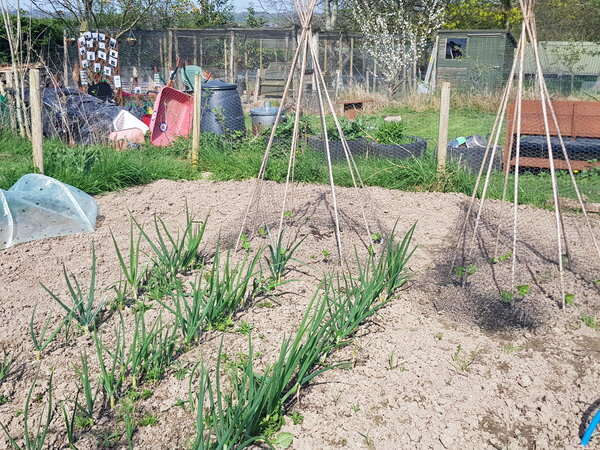 It was hard work to fence our plots and cover the seedlings and young plants with netting to stop rabbits and pigeons feasting on the fresh young plants but it has paid dividends. 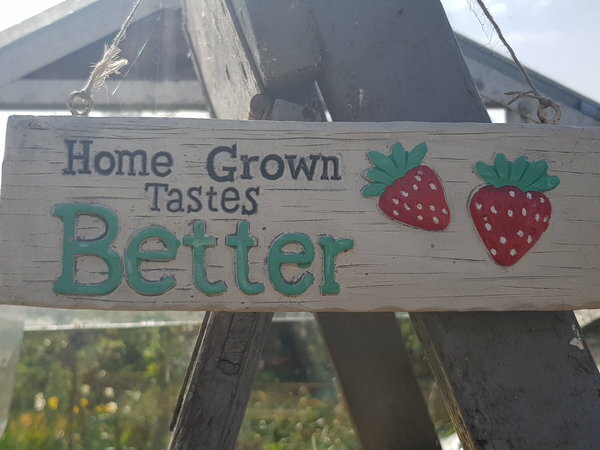 There is a lovely little community at the allotment and always someone to offer a wise word or share plants with (or just to chat to in the sunshine) so why not take on a fresh challenge this year and take on an allotment and start growing your own fresh vegetables and fruit which will taste better than anything you can buy in the shops. If anyone is interested in an allotment please contact the Clerk.